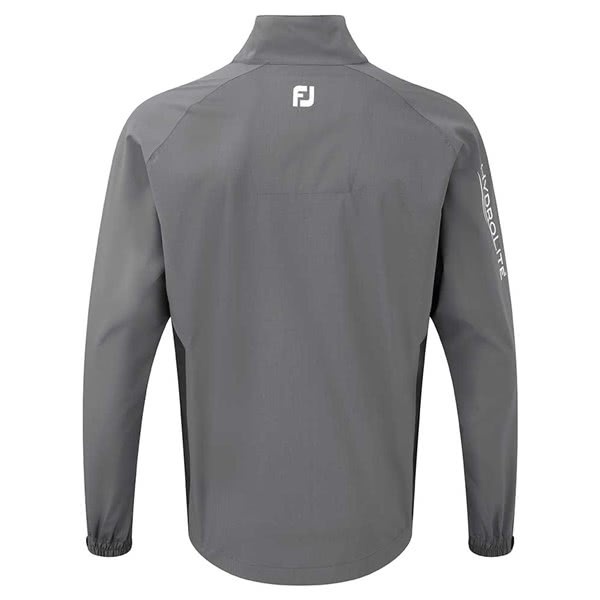 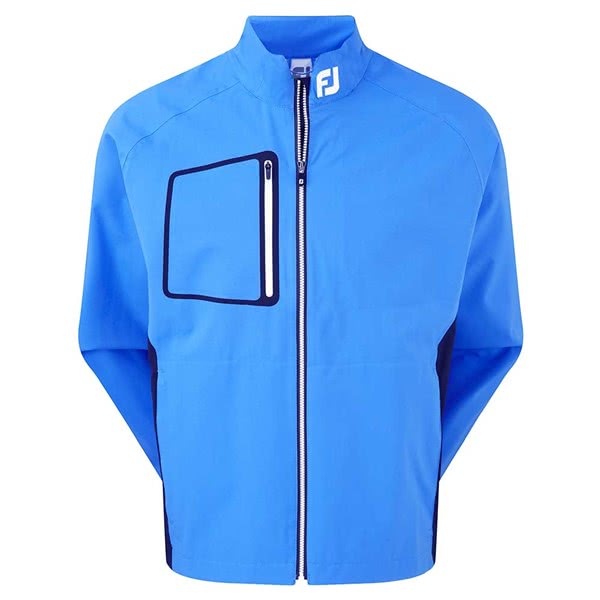 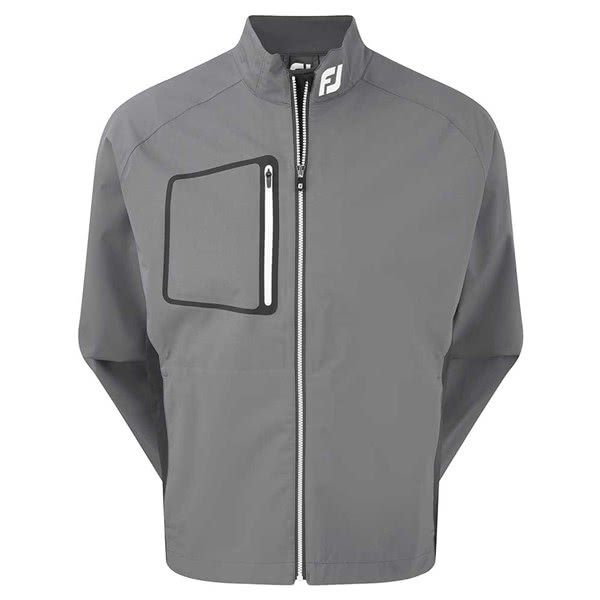 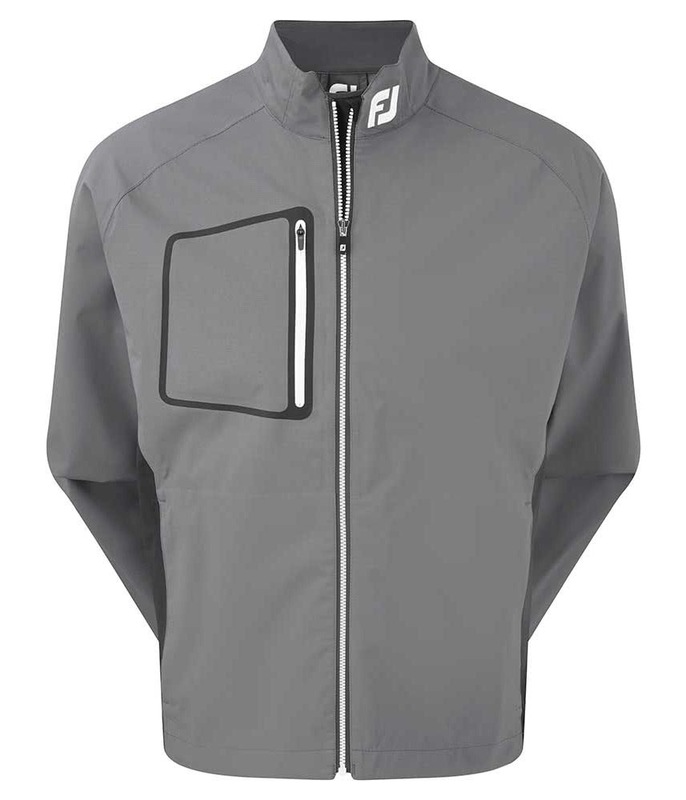 The FootJoy HydroLite Rain Jacket features a lightweight, 100% waterproof seam sealed construction that delivers excellent protection from the elements. FootJoy have used their advanced 2.5 layer fabric as it offers excellent waterproof and stretch properties to ensure you get a fantastic and comfortable fit without sacrificing breathable properties that will allow year-round performance. 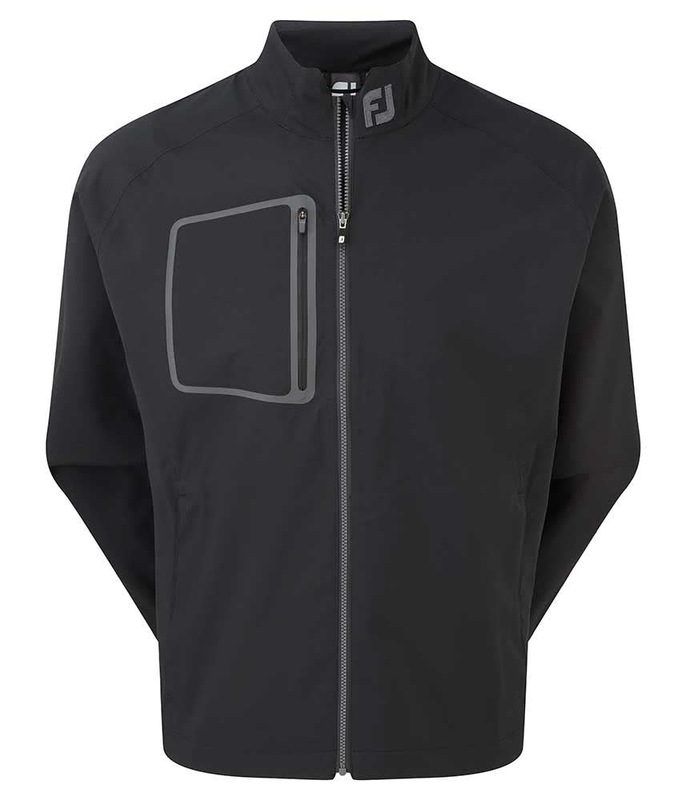 To provide excellent coverage and superior fit around the neck a high, stand-up collar design has been used. 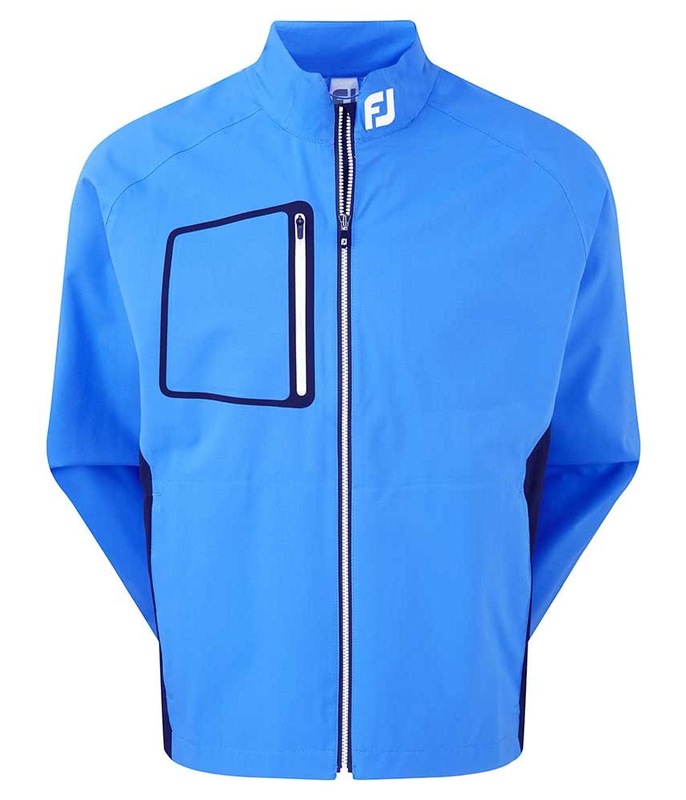 A chin guard has been incorporated into the design to protect your chin when the zip is up to the top. An adjustable velcro cuff design allows you to tailor the fit and prevent the sleeves from riding up during the golf swing. 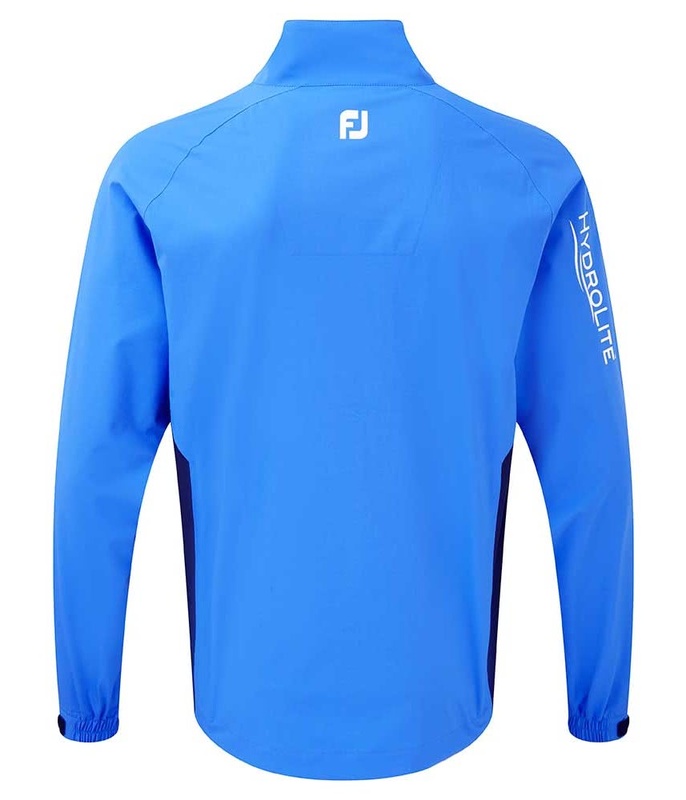 A rain channel up the forearms will ensure rain runs away from the hands and not onto your glove or grip.